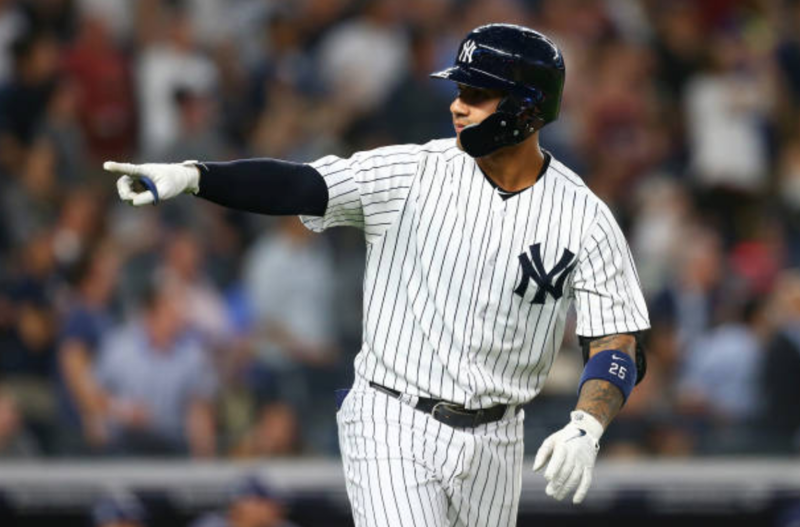 NEW YORK — In what has been a magical start to his career, Gleyber Torres added the latest chapter, hitting a three-run home run in the fifth that proved to be the difference in a 4-3 New York win over Tampa Bay, at Yankee Stadium. Working the count full, Torres finally turned on a high fastball from Blake Snell and sent it to the seats in right field. It was a patient at-bat from the youngest player on New York’s roster. Earlier in the inning, Aaron Hicks hit a solo shot the opposite way to open the scoring for the Yankees. While they still trailed Tampa, 2-1, Aaron Judge and Gary Sanchez both got on-base to set the table for their second baseman. In the victory, Domingo German recorded his first win of the season, pitching six strong innings of three-run ball. He also struck out ten Rays batters. Matt Duffy homered to lead off the game but German stayed composed and gave Aaron Boone the innings he needed. Chad Green, Dellin Betances, and Aroldis Chapman pitched the final three innings of the ballgame to close out the win for New York. Facing a lefty in tonight’s game, Didi Gregorius, Greg Bird, and Brett Gardner were all given full nights-off. Expect all three of them back in the lineup for tomorrow’s game. Jonathan Loaisiga makes his Major League debut tomorrow, as he will face former Yankee, Nathan Eovaldi.